Kodi UWP app is now available for Windows 10 devices. The Kodi app has been ported With the help of recently released Microsoft Desktop bridge app. 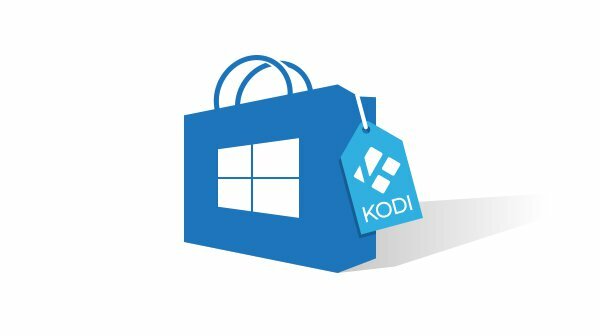 According to the Kodi team, Kodi v17 beta 2 has been added to Windows Store and will continue updating it till the final release comes. Afterward, team will stick to final releases. We as Team Kodi looked at this with some disbelief and never thought it would work for Kodi due to the complexity and hardware usage for audio and video playback. We were quite shocked that it was that easy and of course gladly accepted this cooperation to get this done. You don’t really have to go to our website anymore but straight away install Kodi from the Windows Store and automatically receive any future updates automatically. For us developers the added benefit is we’ll possible get some crash logs in case they happen and we could use these to identify problems and include fixes in next update. Kodi media center, formerly known as XBMC™ Media Center, is an award-winning free and open source cross-platform software media player and entertainment hub for digital media for HTPCs (Home theater PCs). It uses a 10-foot user interface designed to be a media player for the living-room, using a remote control as the primary input device. Its graphical user interface (GUI) allows the user to easily browse and view videos, photos, podcasts, and music from a harddrive, optical disc, local network, and the internet using only a few buttons.